Starting Jan. 31, our friends at Excel Printing & Mailing will officially launch a new program just for us. 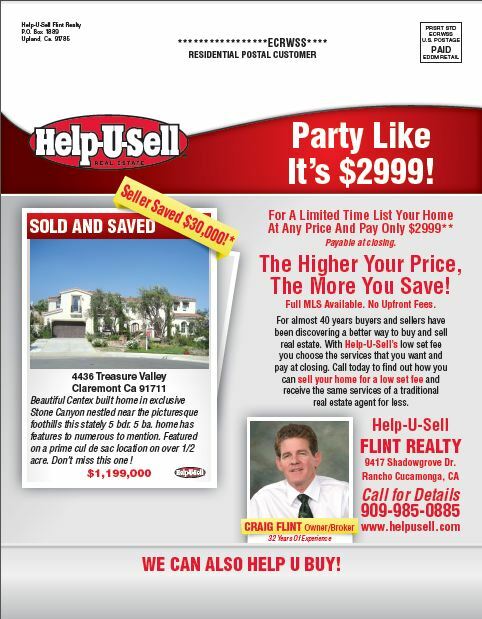 Called Help-U-Mail, it is more cost-effective than door hangers, and the bulk of the work is done for you. Excel will work with you to customize your 8.5” x 11” mailer and place their bulk rate postage permit on each one. You pay for the printing up-front and pay for the postage only when you mail out the flyers. You will be required to mail to at least one full carrier route each time you send the flyers, but you can choose to order as many flyers as you like ahead of time and mail them out in batches. After you take them to the post office, the flyers should be in mailboxes within two business days. If you order 10,000, the cost will be $0.11 each for printing. If you order fewer, the cost per piece will increase. The postage per piece will be $0.142. However, Mike Paholke of Excel told us today to expect an “aggressive offer” on the launch date, so look for even lower pricing then. 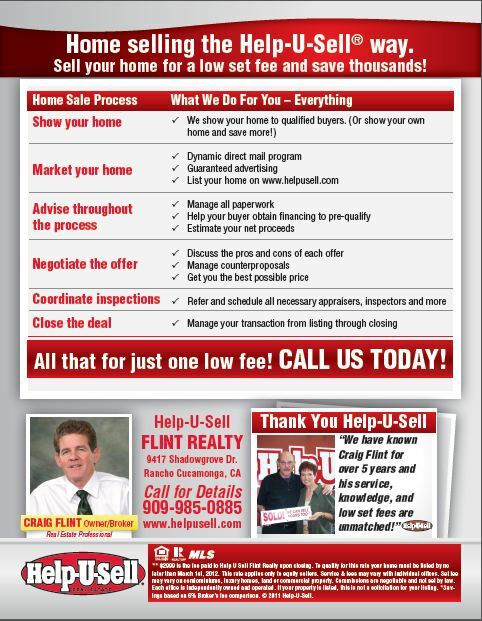 John Powell of Help-U-Sell Galleria Realty and Craig Flint of Help-U-Sell Flint Realty have tested the program already. Powell is planning not to mail out half of his 10,000 order but to insert them into a local newspaper instead. You can see Flint’s flyer below. He has mailed out 9,000 so far and garnered several calls and a few likely listings. To get started on Jan. 31, go to www.husmailnow.com.